After an elongated Indian Summer, it’s that time of the year again: autumn is here. Temperatures are dropping, the days get darker, you’re feeling less energized and rejuvenated. Before you know it, you leave the house before the sun made its climb to the skies and don’t come back from work before its ascended to the horizon. In short: it’s all a bit gloomy, and it’s something that can have an effect on our happiness. However, there’s something that you can do about it. What helps to tackle your autumn dip is regular walks outside, healthy eating and sufficient exercise. But why not give your body a push with the right vitamins and minerals? There are a lot of supplements in the world, and while we know that vitamin D helps with lack of sunlight, it’s not the end-all solution. Many of us take vitamins and other nutritional supplements. Unfortunately, a lot of us take the wrong ones. 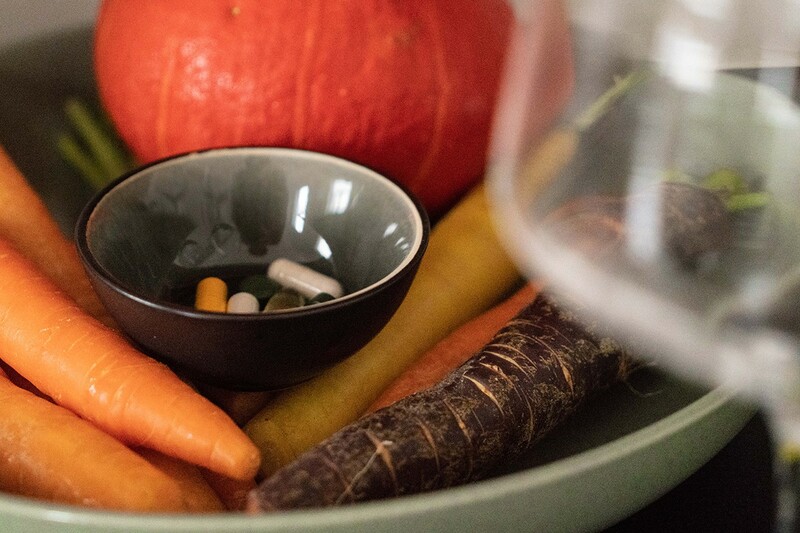 We don’t take high-enough doses… or we take them at the wrong time of day, or we combine them with other supplements, foods or drugs that can block absorption. And it’s because of this that we decided to talk with the people who actually know what they’re talking about: nutritionists. Together with Belgium’s most renowned nutritionists, food experts, and other professionals, we’ve created this curation of supplement blends – one Dawn pack for during breakfast, before the sun has risen to the sky, and one Dusk pack for during dinner. So instead of feeling blue, get the PACK’D Essentials Box and give yourself that extra push in the back.